With expertise in stockbroking and a keen interest in financial markets, Randall provides investment advice to clients, tailoring the views and recommendations of the Investment Committee to their individual circumstances, investment objectives and risk appetite. 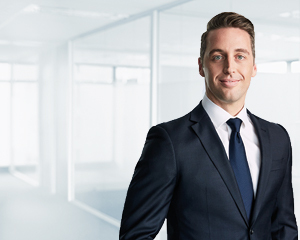 As Associate Director in the Sydney and Brisbane team, Randall guides clients through the investment process and helps them manage their superannuation and investment portfolios, providing advice on asset classes and exposure to specific investments and securities. "I work closely with my clients so their investment portfolio is effectively structured to meet their investment objectives, and well-positioned, relative to the level of value and risk in the market", Randall said. "It’s important to remain proactive and continue to tailor the portfolio to take advantage of opportunities as they arise. This is why I believe regular client contact and discussion is essential so we can be agile to capitalise on those moments." According to Randall, clients benefit from the Investment Committee’s high level of experience and diverse knowledge base covering all asset classes, and the broader networks and resources that can be leveraged to support the investment preferences of clients. Randall believes sourcing income opportunities in a low interest rate environment outside the traditional asset classes was one of the challenges for today’s investors. "More traditional portfolios are highly concentrated to Australian equities and cash. Some of the better performing asset classes have been international, or outside traditional assets and could be considered to help improve risk adjusted returns via diversification", Randall said. Before joining Dixon Advisory in 2011, Randall worked as a private client adviser for a boutique firm in Sydney, specialising in Australian equities. Randall has a Bachelor of Business, majoring in Finance, and a Bachelor of Economics from Macquarie University. He also has a Graduate Diploma in Financial Planning from Kaplan and is accredited to provide investment advice by the Stockbrokers Association of Australia.